Yes, you can power your camera through the G2X with a dummy battery. 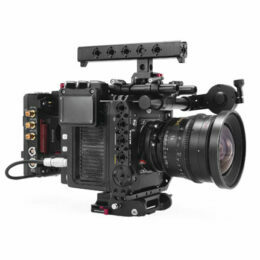 We currently offer Canon LP-E6 and Sony NP-FW50 dummy batteries with a DC connection so that you can power your camera through the DC in/output at the base of the gimbal. You can also use third party dummy batteries that utilize a P-tap connection with our optional DC to P-tap Power Distribution Box. What is the balancing plate for? Can I save the balancing settings on the gimbal?